If you know me, you know that it is rare that I dress down. 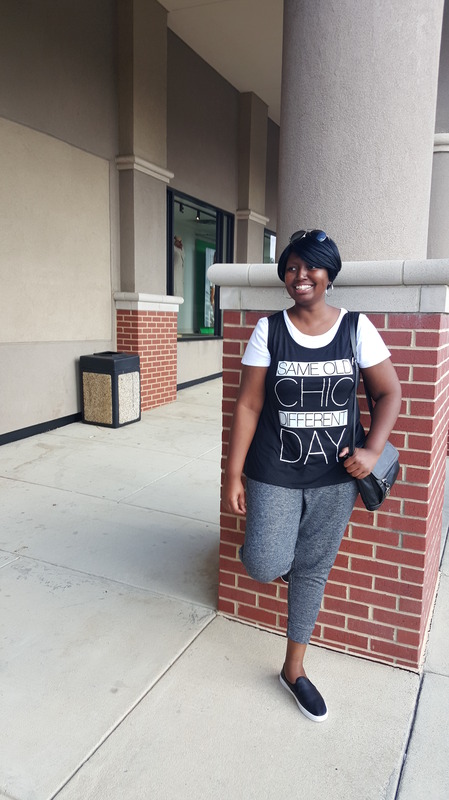 But since I was running a few quick errands today, I decided to go for a really relaxed look. 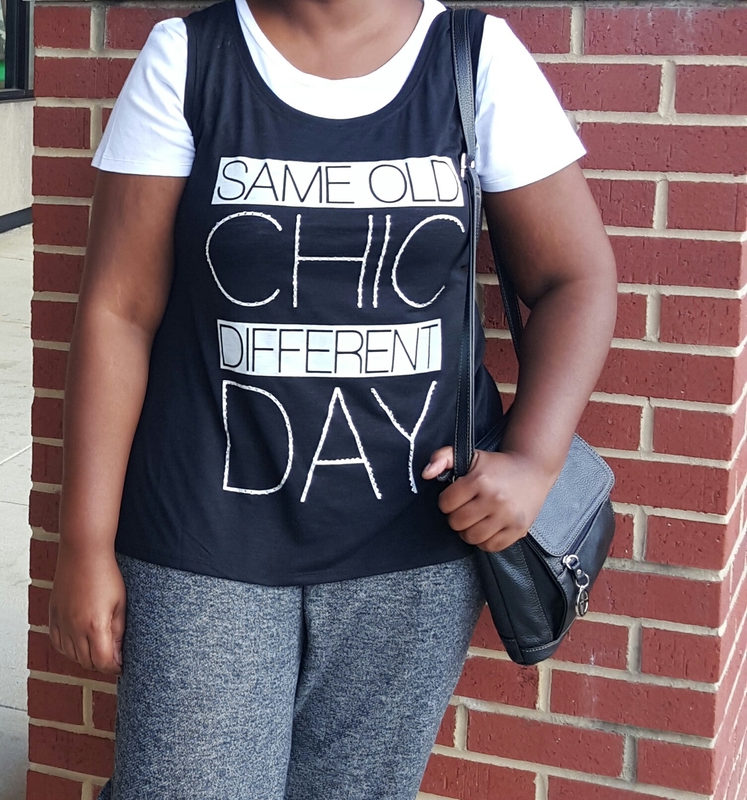 After spying this “Same Old Chic Different Day” graphic tee in Macy’s and copping it for under $6.00, I had to find a reason to wear it. 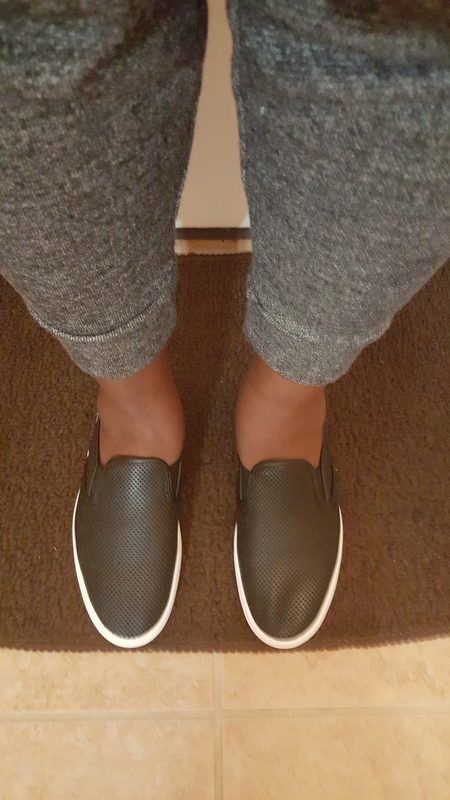 So I paired it with some comfy joggers I purchased last Fall from Ashley Stewart and perforated slip-ons i scored for $10 at Payless. By the way, I love these shoes! They are some of the most comfortable shoes ever and not to mention stylish and on trend. Check out my look below. Do you have a favorite graphic tee? Comment. Tell me about it. What do you wear for your Saturday shenanigans? Do you like the slip-on sneaker trend? I would love to hear from you.